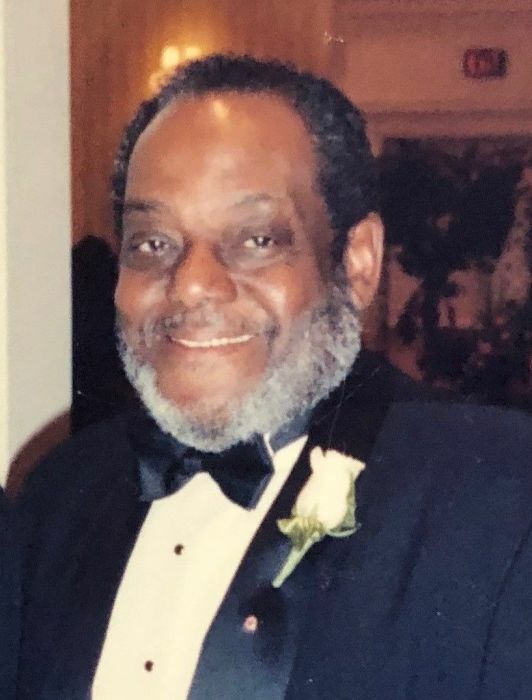 Obituary for John Wesley Noel, Jr. | Frank R. Bell Funeral Home, Inc.
We are here to celebrate the life of John Wesley Noel, Jr. He came to us on August 17, 1928, and departed on March 15, 2019. Though he and his sister Ena (deceased) were born in Brooklyn, New York out of the union of (the late) John Wesley Noel, Sr. and Alma Theodora Noel, they spent their early childhood years from 1934 on the Island of Carriacou in Grenada. They resided there under the direct care of their grandparents. Their parents maintained a residence here in Brooklyn. This was during the time of the Great Depression of the 1930s when it was easier to support dependents "there than here". His elementary education was obtained at the Mount Pleasant Government School. After completion of all levels, he began his public service as a teacher at the same school. After migrating to the United States in 1949, he studied at Brooklyn College, at New York Technical College and at Manhattan Medical Assistants School of Radiologic Technology. He received a Bachelor of Science degree from the State University of New York and a Master of Professional Studies from Long Island University, CW Post Center in Business Administration, with additional credits in Health Care Management Systems. He was employed for twenty-six years in the New York Health and Hospitals Corporation system. Through promotional examination, John advanced to Supervisor of X-ray Technician Services. In this capacity, he also performed as Lecturer and Clinical Instructor in the Kings County Hospital Center of Radiologic Technology, and at the Downstate Medical Center in Vascular Radiography. He represented his colleagues as Shop Steward and as Grievance Representative. Following his retirement from health-related services, he entered into accountancy. He served as an Alternate Delegate of Grenada to the United Nations, 1990 through 1994. While there, he was assigned to the International Law (6th) Committee as a Permanent Delegate and to the Disarmament (1st) and the Decolonization (4th) Committees respectively as an Alternate Delegate. He was active in political, social and civic issues. In November 1990, John joined the Brooklyn Prospect Heights Lions Club. He held several positions in the Lions Club organization, including District Governor, District 20-k1. John was a founding member of the Carriacou and Petite Martinique Action Committee (C-PAC), a community-oriented organization that promotes health and educational support programs primarily in the Tri-Island State of Grenada. He also was a member of the Board of Directors of Interfaith Medical Foundation. He married his schoolmate from Mount Pleasant Government School in Carriacou, Sarah Noel (who was also a teacher), and their union brought four children; Alma and John, III, (predeceased) Randolph and Camille. He leaves to mourn, his wife of 69 years Sarah; his son Randolph (and his wife Debbie); his daughter Camille; grandchildren: Randy (and his wife Lori), Ato, Zareb, Jahi and Jessina; great-grandchildren: Quincy, Julian and Pierce; sister-in-law Adeline Lashley; brothers-in-law: George Brathwaite and Dr. Alfred Brathwaite; as well as nieces, nephews, and a host of other relatives and beloved friends.